A retrospective study of over a million hospitalized patients shows that nutritional supplements provided to patients during hospitalization significantly reduces the length of stay and health care costs. A grow body of evidence suggests that malnutrition is a serious and often unrecognized problem among hospitalized patients. 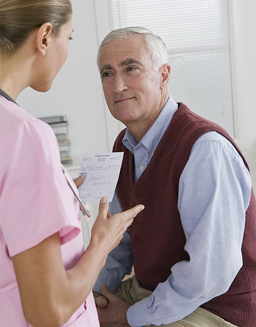 Malnourished patients are more likely to experience an increased length of stay, higher health care costs, more complications, and a greater chance of readmission and mortality. In a study published in the American Journal of Managed Care, researchers sought to determine whether oral nutritional supplements, delivering both macronutrients and micronutrients in addition to normal food intake, would improve outcomes in hospitalized patients. Happy Holidays Leaders! Here are some announcements for December so you can plan and promote with your teams. As of December 11, the Professional Pack will be retiring, the Fast Start Pack will change its name and remove the sponsorship bonus, The Entrepreneur Pack will have a new name, and the Basic Pack will be changed as well. 1. New Year New You – We are ready to kick off the New Year with our New Year, New You 2016 tour! In partnership with local leaders, USANA will be hitting the road with Scientists, Doctors, and USANA Field Leaders to provide training at these guest-focused events. Each location will be hosting a Healthy Mixer to promote the Reset Challenge as part of the overall New Year, New You presentation. Once again, the New Year, New You Tour will be conducting language specific locations to support our Latino and Chinese communities. The tour runs from January 4 – 24, 2016, all locations and dates will be posted on the HUB next week! 2. 2016 SWEET Retreat #Sweet16 – To our SWEET Sisters, and all of our first time attendees, we are so excited for our 5th Annual SWEET Retreat! Another opportunity to network with likeminded women, receive specified training, pamper yourselves with a spa party, recognize your peers, and dance ‘till you drop! It’s one of the most exclusive, amazing events USANA puts on. Be sure to spread the word to your teammates and friends! Be sure to get a room in the room block (bit.ly/USANASweet2015). Space is limited, so get registered quickly! Click here to register! 4. 2016 International Convention – Have you pre-registered for 2016 International Convention? Remember Dr. Wentz’s final words at Convention this year? It’s going to be an amazing event! Get your teams there by getting them to here now! 3. Leadership Summit – Your Director or above must average 7,800 Commission Volume Points (CVP) total for a 13 week period. This is an average of 600 CVP weekly (no more than 800 CVP will be counted for each week). We learn & grow, network, and have so much fun at these Summits – take a look at the photos of our Leadership Summit in October! Those who are the top sponsors with the most new associates who generate enough sales to activate a minimum of 1BC will win. The contest will run December 1 – Jan 31, 2016. 5. Trusted Partner and Sponsor of the Dr. Oz Show – Season 2 of our partnership with the Dr. Oz Show is well under way. This next show will be featuring Digestive Enzymes, and will air Monday, November 30! Season 1 shows are below. SALT LAKE CITY, Nov. 16, 2015 /PRNewswire/ -- Indonesia, the world's fourth-most populous country, welcomes USANA Health Sciences (NYSE: USNA) — a global nutrition company — with its world-class health and wellness products to the people of this thriving nation. This tropical oasis marks USANA's 20th market worldwide with a central office located in the beautiful capital city of Jakarta. "USANA is growing fast, and has unprecedented leadership interest in one of the world's most rapidly growing Direct Selling markets," said USANA Vice President of Ethics and Market Expansion Dan Whitney. "There is a wealth of opportunity in Indonesia. USANA has made a full commitment to long term success in this country and we're thrilled to announce that we're open for business." USANA's Indonesian headquarters will launch with its flagship product, the Essentials, leading the charge along with several of its key optimizers. The state-of-the-art building will feature a will-call, meeting area, and plenty of rooms for corporate executives and Direct Sellers to gather. Indonesia has one of the top five fastest-growing economies in the world. According to the Boston Consulting Group, the middle class and affluent consumers of Indonesia are expected to nearly double between now and 2020, jumping from 74 million people to 141 million. The direct selling and network marketing industries have maintained a positive reputation across the country for many decades now — in fact, it's a $1.2 billion direct selling market. USANA has received more interest in Indonesia than in any other market — more than 500 distributors have already registered their interest to build their business in Indonesia with USANA's international market expansion department. "We're delighted to be so warmly welcomed by the people of this beautiful, thriving country and are excited to have our doors open," said Dennis Cheok, general manager of USANA Indonesia. "We have high hopes that this new market will not only have a positive economic impact, but also a significant influence to the health of its residents." USANA is thrilled to bring its health products and business opportunity to the land of a thousand kings. The G-WWB meal improved the outcome in the cognitive tests in the later postprandial period (75–225 min) in comparison with the WWB. Subjects with better glucoregulation performed better in cognitive tests compared with subjects with worse glucoregulation. A Nilsson et al. Effects on cognitive performance of modulating the postprandial blood glucose profile at breakfast European Journal of Clinical Nutrition (2012) 66, 1039–1043. Research shows that a low-glycemic diet relatively high in protein is more effective at weight maintenance than a low-protein, high-glycemic diet. A study in the New England Journal of Medicine reports that a diet relatively high in protein and low in refined carbohydrates is more successful than other diets at maintaining weight loss. Researchers enrolled overweight adults from eight European countries who had lost at least 8% of their initial body weight with a low-calorie diet. 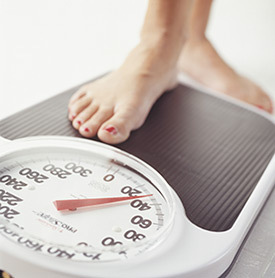 Participants were randomly assigned to one of five diets to prevent weight regain over a 26-week period: a low-protein and low-GI (glycemic index) diet, a low-protein and high-GI diet, a high-protein and low-GI diet, a high-protein and high-GI diet, or a control diet based on the current European dietary recommendations. The high protein diet provided 25 percent of calories in the form of protein, while the low protein diet consisted of 13 percent protein. Five hundred forty-eight subjects completed six months on the assigned diets. In the analysis of participants who completed the study, only the low-protein/high-GI diet was associated with subsequent significant weight regain (1.67 kg, or 3.6 lbs) by the end of the dietary intervention. Weight regain was less in those who consumed high protein compared to low protein and in low-GI diets compared to high-GI diets. High-GI foods include white flour, white rice, and other refined carbohydrates. This study shows that a modest increase in protein content and a modest reduction in glycemic index can lead to an improvement in compliance and maintenance of weight loss. Larsen TM, et al. 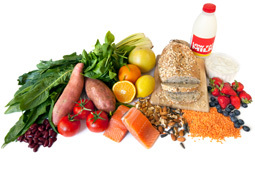 Diets with High or Low Protein Content and Glycemic Index for Weight-Loss Maintenance. 2010. N Engl J Med 363:2102-13. 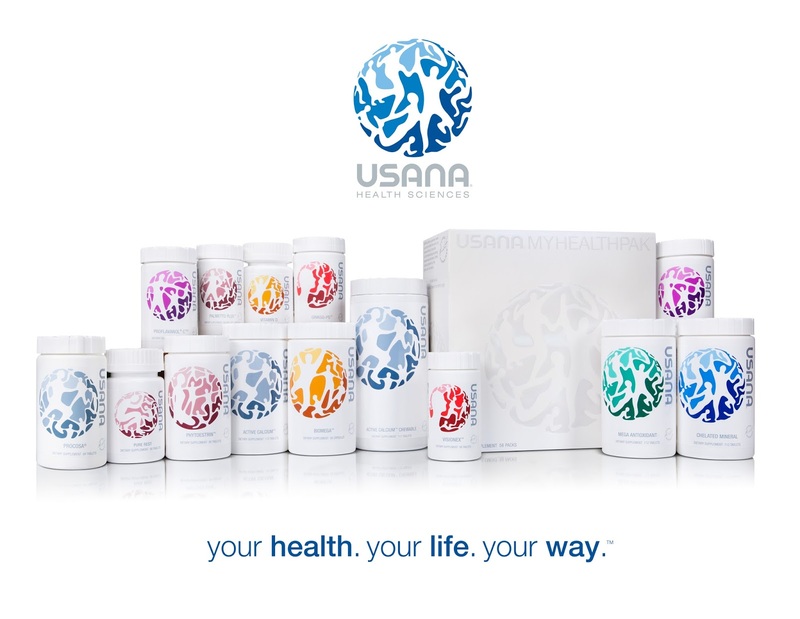 USANA Products Being Sold on Amazon, eBay, Craigslist, etc. I want to take this opportunity to address an extremely serious concern that you, as an independent USANA Associate, may or may not be aware of, and offer my personal opinion. Below is one of several emails I recently received on the subject of USANA Associates marketing USANA products on Amazon, EBay, Craigslist and other venues, and my response. You can review those email messages at your convenience. · Any USANA Associate who is marketing USANA products via Amazon, eBay, Craigslist, flea markets, etc. is in clear violation of USANA Policies and Procedures, and places themselves at clear risk of being terminated by USANA. · Any USANA Associate who is marketing USANA products via Amazon, eBay, Craigslist, flea markets, etc. is jeopardizing your USANA business. · Any USANA Associate who is marketing USANA products via Amazon, eBay, Craigslist, flea markets, etc. is an irresponsible business person who needs to be dealt with swiftly, appropriately and legally. · If every subscriber to this list of over 5,000 members made the effort to find and report one Associate per week who is marketing USANA products via Amazon, eBay, Craigslist, flea markets, etc., we can clean out this sewer in a matter of weeks, and significantly enhance the value of the USANA brand, and our USANA businesses. · If you have any questions, concerns or comments on this issue, please feel free to respond to me personally, and I will insure that your message is dealt with promptly and confidentially. Thank you very much for your effort to make USANA the best product and business value available. Thank you for your message. I understand and completely agree with your concerns. If you have any other questions on this or any other issues, please contact me or USANA as soon as possible. 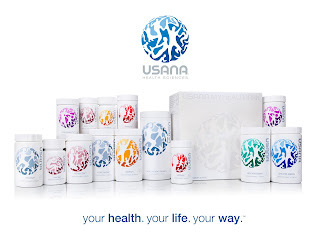 Is a USANA associate allowed to sell USANA nutritional supplements at Amazon? My prospect asked me why USANA itself sells at Amazon not from a seller where he found online. Some of my prospects are not interested in USANA business and are ordering USANA products through Amazon. I was speechless and disappointed. What is your suggestion to tell my prospects?